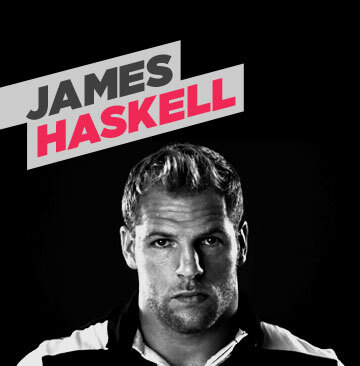 England flanker James has recently left Stade Francais and will be returning to Wasps at the start of the 2012-13 season after a brief sojourn in Japan. Windsor born James played in the same U21 England team as Matt and was packing down behind him during a training session at Franklyn Gardens when Matt's injury occurred. A good friend of Matt, James was shocked and upset by the events, 'Being there when Matt was injured has made it very personal for me, it was also upsetting to think that Matt would no longer be a part of the set-up with England, particularly as we were really starting to gel as a unit. Hambo is a great mate and I am impressed by the work he has done since his injury, especially his efforts in setting up the Foundation, I want to be able to help and being an Ambassador allows me to assist and show support for Matt's work'.